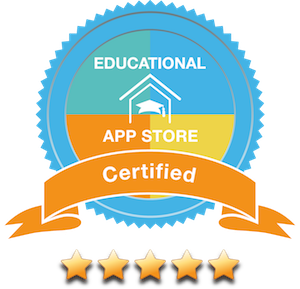 Dyslexia Test and Tips™ has developed an app for children, students and adults either with dyslexia or where there is a possibility of dyslexia. You can take the test yourself or as a teacher, parent, family member or colleague, help someone you think could possibly be dyslexic to take the test. 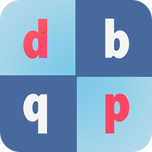 Even if you do not come into direct contact with someone with dyslexia, it can be interesting to take a look at this app in order to gain insight into the behaviour of people with dyslexia and more understanding of its impact on their lives. The app can quickly identify if there is a possibility of dyslexia. This is done by checking a number of characteristics that you recognise in yourself or in the test person. For more clarity you can take the Dyslexia Test. The 35 questions can be answered with Yes – No – Don’t know. Having answered all the questions, you will be given a result ranging from 0 stars (no possibility of dyslexia) to 3 stars (definite probability of dyslexia). You can save the results of the test in a profile. In the profile you will find the result of the Dyslexia Test with 35 question. You can add to this the behavioural characteristics which you have ticked under ‘Behaviour’. The behaviour of someone with dyslexia is significantly different to someone who is not dyslexic. The profile gives a clear overall picture for yourself, but also for parents and teachers of their child or pupil. The profile can be printed or e-mailed so that you can share all observations with a professional. Here you will find do’s and don’ts to help make life with dyslexia easier. A range of tips is offered for the dyslectic person himself but also for parents, teachers and colleagues at school, at home and at work.